Welcome! On this new show, our estate planning attorneys answer the most common questions we get from our clients. We tackle questions relating to living trusts, wills, probate, asset protection, inheritance issues, property transfers, estate tax planning, and MORE! See why we've been trusted by families for more than 25 combined years throughout San Gabriel Valley and Los Angeles. Have You Named a Guardian for Your Kids? When Do I Need a Living Trust? How Do I Correctly Gift My Home to My Children? How Can I Protect My Home from Medi-Cal Recovery? 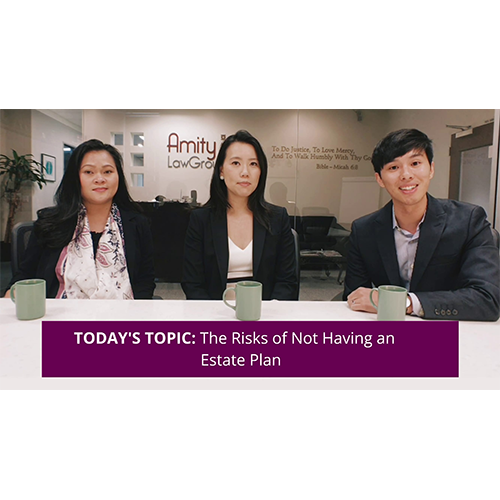 What Are the Risks of Not Having an Estate Plan? 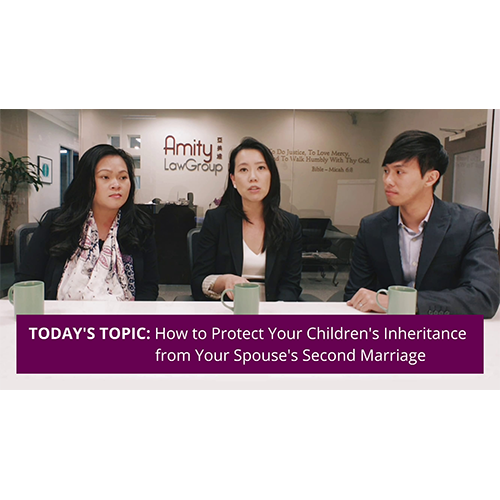 If My Spouse Remarries, What Happens to My Home? Trustee vs. Power of Attorney - Difference?